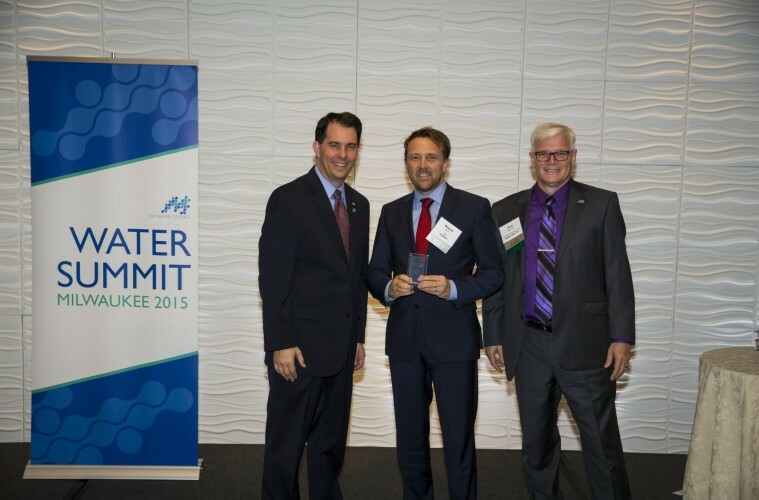 Pictured (l-r) are Wisconsin's Governor Scott Walker; Wayne Byrne, CEO, OxyMem, a University College Dublin spin-out company, and Richard Meeusen, co-chair, of Wisconsin's The Water Council. OxyMem, who featured in our Business Showcase section here, is the only European start-up selected to participate on the 3rd BREW accelerator programme for water technology start-ups, in Wisconsin, USA. Established in 2013 the BREW (Business, Research, Entrepreneurship in Wisconsin) is a first-of-its-kind place-based global seed accelerator programme focused on solving global freshwater challenges by innovative start-up companies producing cutting-edge technology. The BREW was created by Wisconsin’s The Water Council, and the Wisconsin Economic Development Corporation, as a demonstration of Wisconsin’s reputation as a global epicentre for water-related research and industry and international model for public-private partnerships. After a comprehensive application and judging process, the Water Council have announced the six start-ups, including OxyMem, chosen to participate in the 3rd year of the BREW accelerator programme. The announcement was made during the 8th annual water summit held recently in Milwaukee, with Wisconsin’s Governor Scott Walker as guest of honour. OxyMem, based in Athlone, was co-founded in 2013 by Professor Eoin Casey and Dr Eoin Syron as spin-out from UCD’s School of Chemical and Bioprocess Engineering. OxyMem’s breakthrough technology for secondary wastewater treatment can achieve incredibly high oxygen transfer rates (up to 95%) resulting in superior energy performance, lower sludge production using less operator hours. This year, the 6 selected start-ups receive up to $50,000 in investments, subsidised space in the Global Water Centre, Milwaukee training through the University of Wisconsin-Whitewater Institute for Water Business and mentorship from dozens of area water technology experts. 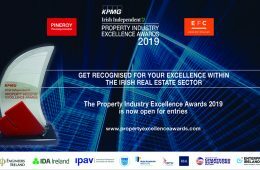 OxyMem has already won a number of national and international awards including the 2015 Imagine H2O Infrastructure Challenge (Growth Stage) Award and the overall winner of the 2014 Irish Times InterTradeIreland Innovation of the Year Award. The other 5 companies chosen for the 3rd BREW accelerator programme are: Iconac Inc., Canada; IX Power Clean Water Inc., Colorado; Optiktechnik, Wisconsin; Radom Corp., Wisconsin and Solar Water Works, Wisconsin.